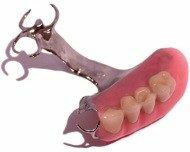 A cast frame partial is made with a metal framework on which artificial teeth are attached. The clasps of the frame grip onto the remaining teeth. 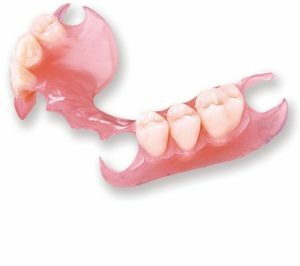 Cast frame partials are usually thinner, more hygienic and stronger than acrylic partials. Flipper partials do not have a metal framework. They gain retention by simply wedging in to the space between the remaining natural teeth. 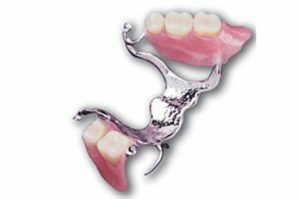 Flipper partials can be less reliable in their fit and function and are used as a temporary solution for replacement of 1 or 2 teeth. Acrylic partials do not have a metal framework. They simply rest on tissues and gain retention by means of wrought wire clasps. Acrylic partials are always thicker than cast partials. They offer basic solution to replacement of some missing teeth. 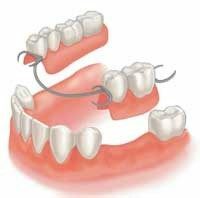 A consultation with us will determine which partials would work best for you. Call 604-553-1222 to schedule a consultation with a licensed denturist.